Who is that? Car looks familiar. Thanks for posting this, as scary as it is. I will have a roll-bar, race seat, and harness in my car before any HPDE. Harrowing. Sure glad he was okay. 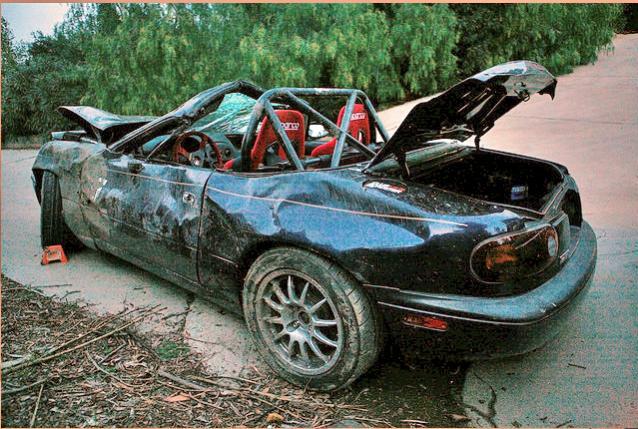 1999 Miata Roller - Roll Cage, Hardtop, Flares, great start for V8 build!